I'm really excited to finally be able to share a new project I'm working on with all of you. A few months ago, an author friend suggested writing a multi author series, and her concept was so cool, I just had to join in. Luckily, it fitted really well into my existing dragon shifter series, and I had the perfect couple for it. 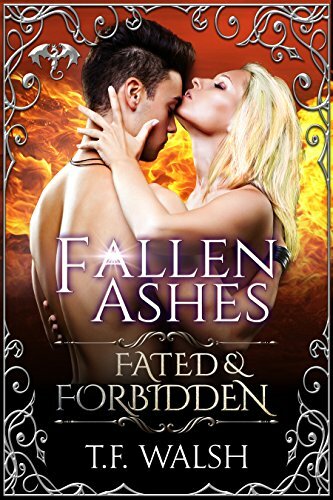 Check out Fated & Forbidden, a multi-author paranormal romance series! 11 authors. One PNR series. You can check out the series page here, and sign up for the mailing list to be notified when each book is released! Of course, I'll be mentioning them all in my newsletters too, as well as talking about my book in this series, Dragon's Cowboy! The prologue story, that sets it all up, is available for FREE now! My contribution, Dragon's Cowboy, is available for preorder! Dragon shifter Wayrian just wants to live a quiet life. Fat chance of that when her clan as at war and her grandfather wants her to marry a prince. As if that isn’t enough, a crazy goddess appears in her dreams and threatens to turn her clan human if Wayrian doesn’t marry her fated mate by the Blood Moon. A mate who is not a prince. Who isn’t even a dragon. Lured away from his father’s cattle station by the excitement of the dragon shifters, Chase is careful to keep his distance. He’s happy to help out by waking one of the dragon princesses, but he isn’t planning on mating forever. Even if Wayrian thinks that’s the only way to save her people. He doesn’t believe in true love—he’s been burned before. But when a reporter bent on exposing the dragons' existence drives Chase and Wayrian into hiding on the cattle station, things between them begin to heat up. The only problem is that Wayrian’s grandfather, hiding with them, is determined to keep them apart at all costs. Will Wayrian risk her grandfather’s ire to save her people, or will she make her own choice? Also available to preorder now! Click on the images to check them out! And don't forget to sign up to know when more are released!